This is probably the easiest sweet treat you could make. And the flavour combinations can be anything you like. 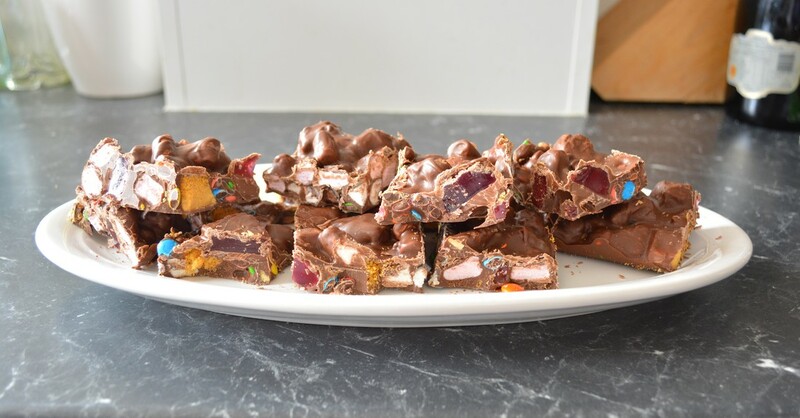 You want a crunch element, a chewy element, but you can add whatever you like, you can add a salty nut, a different nut, jelly lollies, truly whatever you like. 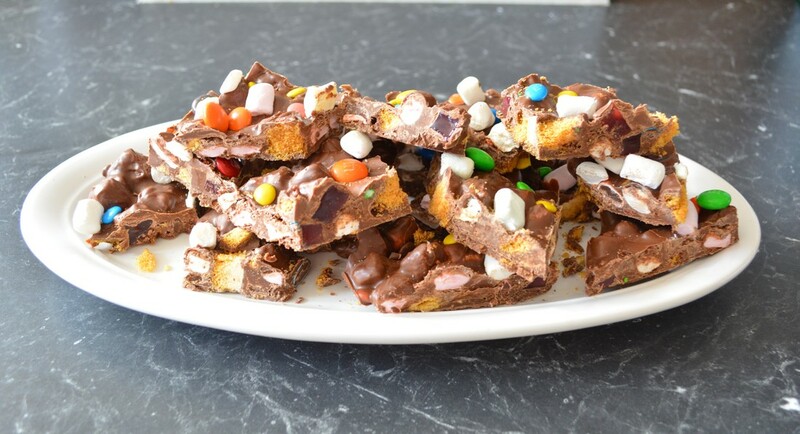 Rocky Road is like creating your own chocolate bar. I love the combination of milk and dark chocolate. You can use crunchie bars or digestive biscuits, whatever you prefer, you just want to add a crunch factor. My kids prefer nut free rocky road, but if making for myself I take out the m&m's and add in pistachios. I prefer to keep it out of the refrigerator once it has set. This is the perfect sweet treat, simple and satisfying. Grease and line a 16cm x 26cm slice pan with baking paper, allowing the 2 long sides to overhang. Place the dark and milk chocolate in a heatproof bowl over a saucepan of simmering water (make sure the bowl doesn't touch the water). Melt the chocolate, stirring occasionally, until smooth. Combine the Turkish delight, crunchie, m&m's and marshmallow in a bowl. Reserve a few marshmallows and m&m's to scatter over the top. Pour the melted chocolate into the bowl and stir to combine. Spoon into prepared pan, press it down a little. Scatter over reserved marshmallows and m&m's. Place in the refrigerator for 30 minutes or until set. Cut into pieces.